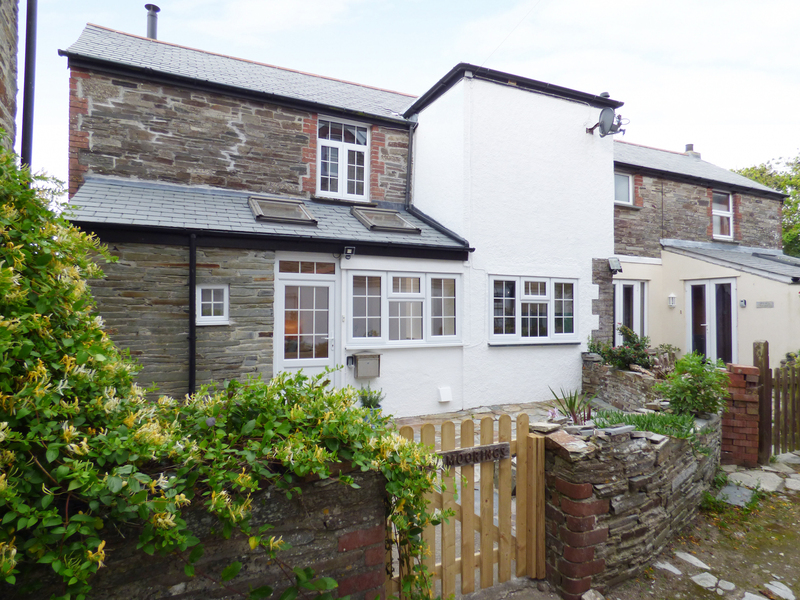 Moorings is an end of terrace cottage situated in the village of Tintagel in Cornwall. Hosting two bedrooms; one double and one twin, as well as a shower room, this property can sleep up to four people. Inside, you will also find a kitchen, along with an open plan sitting and dining area. To the outside, is off road parking, and an enclosed patio area with furniture. Located in an attractive setting and close to many attractions, Moorings is a delightful retreat in a scenic part of England. Electric central heating with woodburning stove. Electric oven and hob, fridge, washing machine, dishwasher, TV with Freeview, DVD, WiFi. Fuel, power and starter pack for woodburning stove inc. in rent. Bed linen and towels inc. in rent. Travel cot and stairgate available on request. Allocated parking in car park 20 yards away. Enclosed patio with furniture. Sorry, no pets and no smoking. Shop and pub 2 mins walk. Note: Max 4 adults excluding infants.